Mix the Bisquick™, milk, oil, and egg. 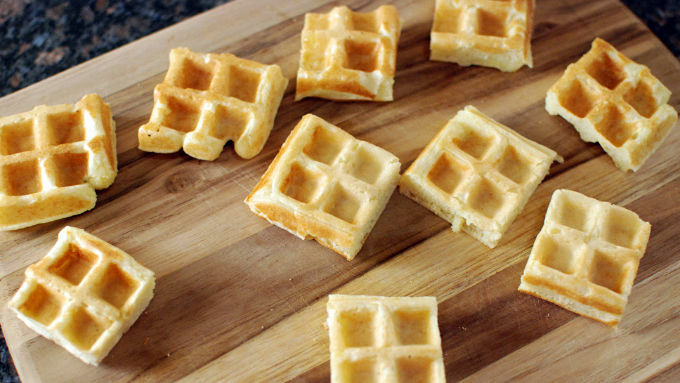 Make into waffles. Allow to cool and cut into 24 squares. 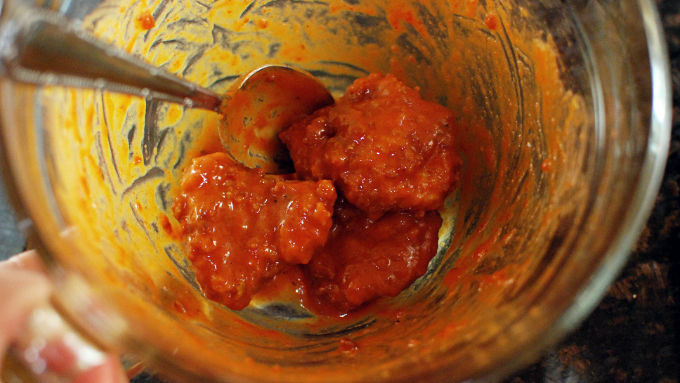 Mix the sauce by stirring together the sriracha, butter, maple, mustard, and soy sauce. 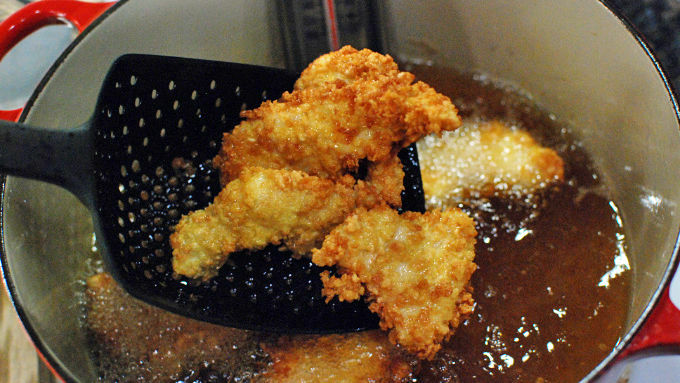 When the chicken has slightly cooled, toss in the sauce to coat. Build the sandwiches with a waffle square, followed by a piece of chicken, a pickle, then a waffle square on top. Serve immediately. 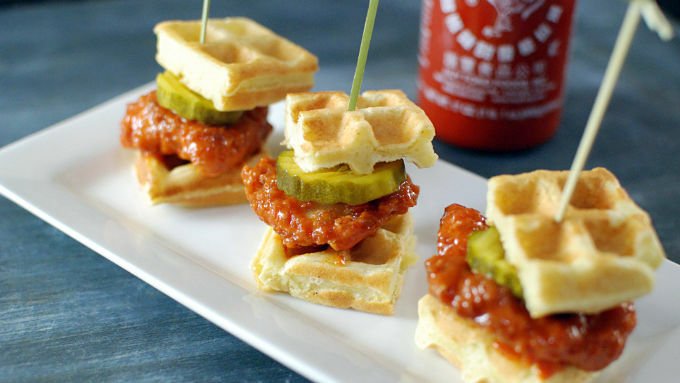 Build these little waffle and sriracha chicken sliders as party appetizers or late-night snacks. People can’t get enough of the chicken and waffle craze, and this tasty app is a great way to class up the dish and serve it at a party. The best part of this chicken and waffle sandwich is the sriracha buffalo sauce. It's a new twist on the classic buffalo, and adds a real kick to the sandwich! There's also maple in the sauce to pair with the waffle. Pop a pickle on top and you have a perfect two-bite appetizer that can be served anywhere from the next big game to the most elegant event. So good – crunchy, chewy, sweet, salty, and spicy!